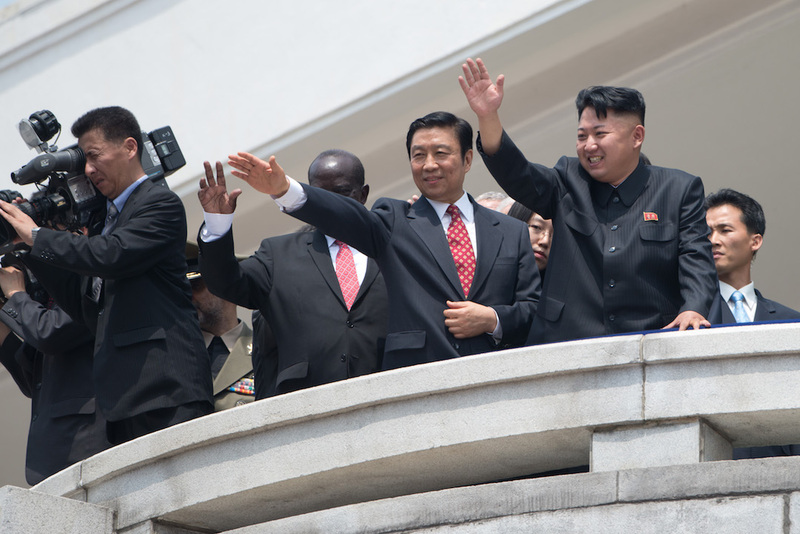 North Korean leader Kim Jong-un (center-right) and China’s Vice President Li Yuanchao (center-left) wave to the crowd during a military parade at Kim Il-sung square marking the 60th anniversary of the Korean war armistice in Pyongyang, July 27, 2013. Two weeks into President Trump’s first term, the White House has launched a review of its North Korea policy. Dealing with the threat from Pyongyang’s missile launches and nuclear weapons program is likely to top the administration’s security agenda in the region. Paul Haenle spoke with Tong Zhao, a fellow in Carnegie’s Nuclear Policy Program based at the Carnegie-Tsinghua Center for Global Policy, about how North Korea and other regional security challenges will fit into the new context of U.S.-China relations under the Trump administration. Tong said that Chinese decision-makers believe Trump will conduct U.S. policy similar to how he approached his business dealings, with a focus on making deals and executing transactions. Tong was not surprised that Trump has indicated that he will add pressure on China to help tackle the nuclear threat. But he argued that further pressure could lead to erratic and dangerous responses from North Korea and warned that China has no interest in turning a nuclear-capable Pyongyang into an enemy. While denuclearization remains the long-term goal for both the United States and Chinese governments, Tong said it would require agreeing on realistic near-term objectives. Tong pointed to the lack of nuclear and missile activity, as well as a statement from a senior North Korean official, as evidence that Pyongyang is waiting for clarification from the Trump administration before taking further provocative actions. If Trump were to engage with Kim Jong-un directly, Tong said Trump would not have to accept North Korea as a nuclear-capable country—a long-time U.S. red-line—but could make progress in curbing further development of Pyongyang’s strategic military capabilities.